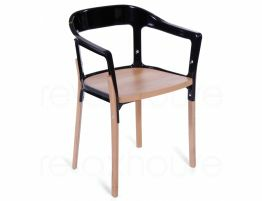 Constructed of Beechwood and powder coated steel. 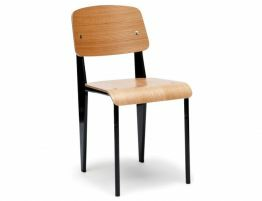 With four straight legs and a round seat that is milled from solid beech and attached to painted steel, it is hard to tell the original from the designer reproduction. 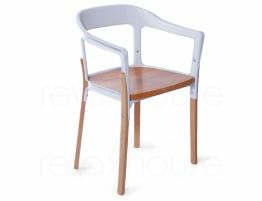 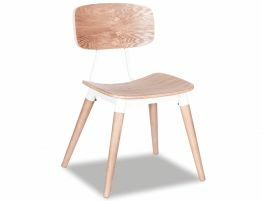 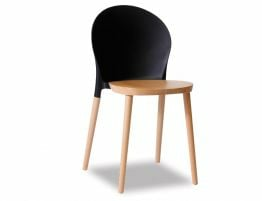 The beauty of the design and simplicity of the material comes together to form an attractive and comfortable modern designer chair. 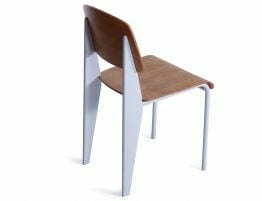 Unlike most of its plastic siblings, our Steel wood chair is designed to become more beautiful over time, acquiring a patina over uses and years. 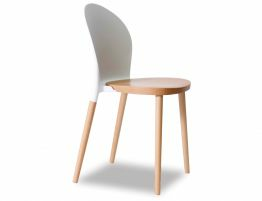 Our chair’s silhouette makes this chair decidedly adaptable to any place, from a café terrace to an inviting dinner table.